I hate CISCO AnyConnect for its cryptic error messages. I feel like lucky when CISCO AnyConnect connects to VPN without throwing any obscure error. 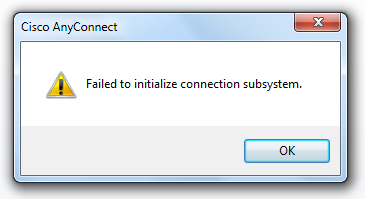 So today I stumbled upon this weird error which says "Failed to initialize connection subsystem". Initially I thought it was caused due to broken internet connection, but later found that was not the case. This error message is thrown when Internet Explorer is set to Work Offline mode. 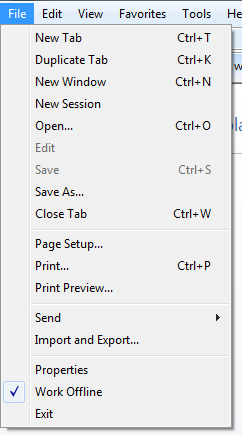 So, if you get this error, just go to Internet Explorer File Menu and uncheck Work Offline mode.